about the bleeding process . 1. 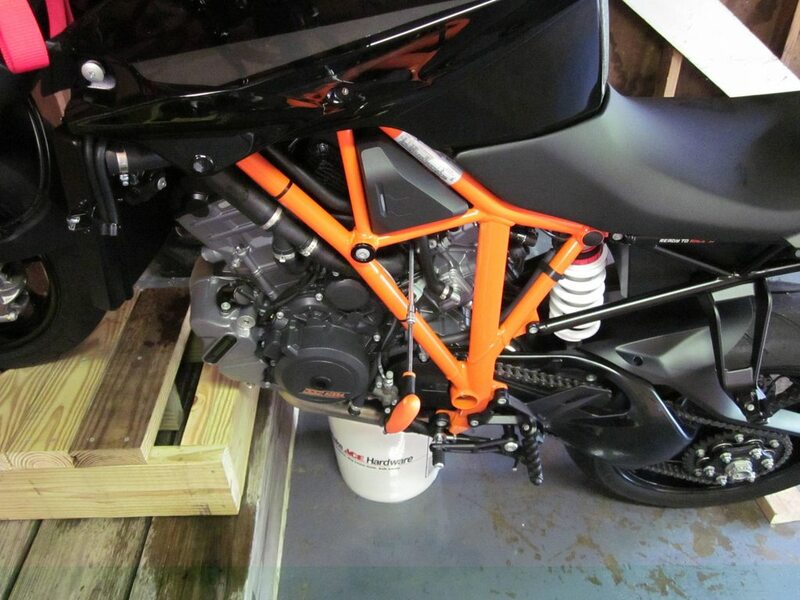 KTM 1290 Superduke R, 2 Gallons of Distilled water, Your choice of coolant. 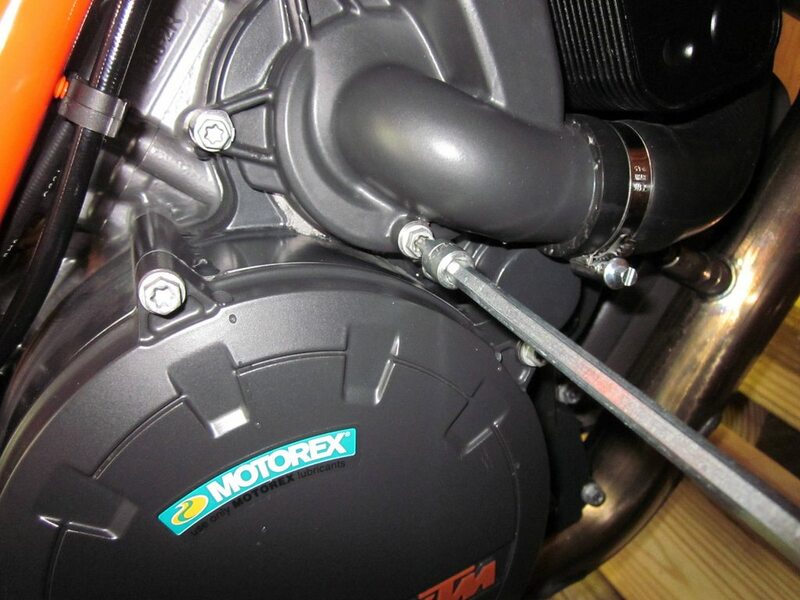 I used Motorex M5.0 coolant 3.20 L 3.38 qt. Tools from the 1290's spare tool kit. old motorcycle ramp cut under 4' to keep the rear wheel on the ground. 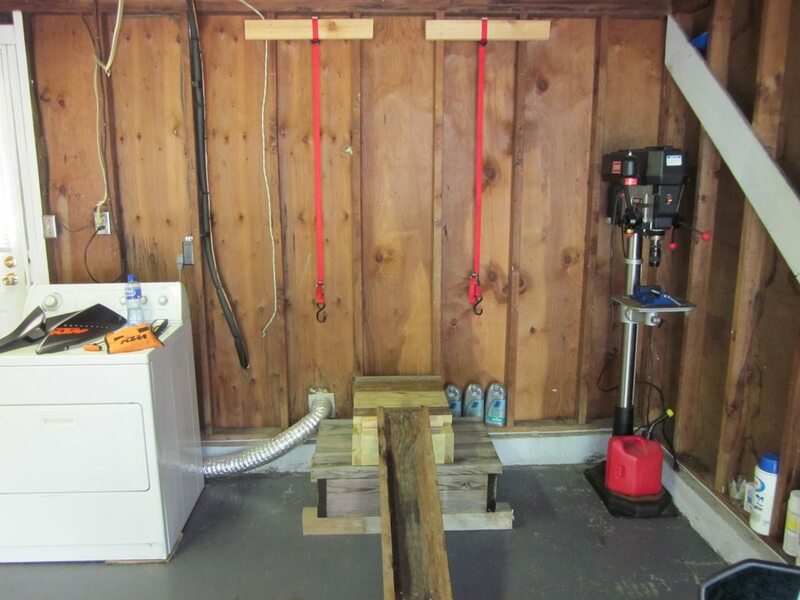 And I used 2 motorcycle straps to help hold it securely in place. Step 1. Start with a cool motorcycle! Remove the spoiler from both sides, we need access to the radiator cap and radiator bleed screw. 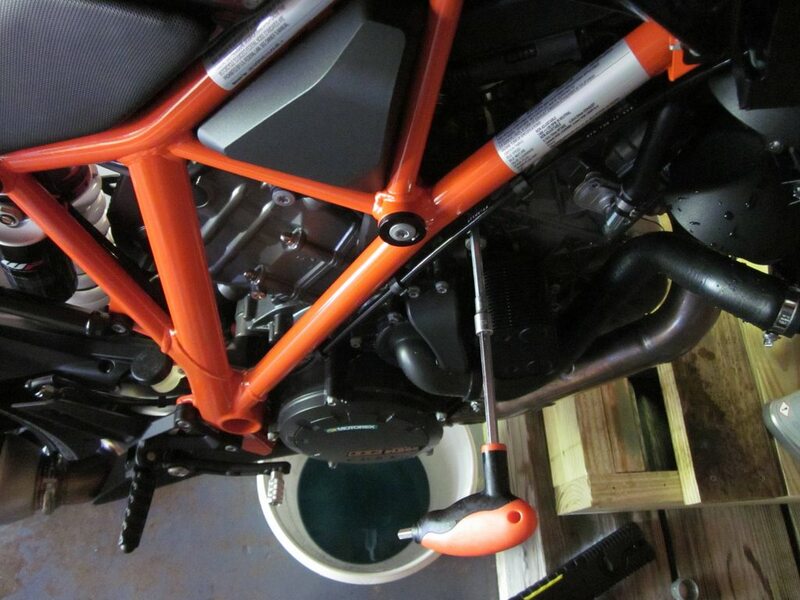 Step 2: Drain the coolant/flush the system. 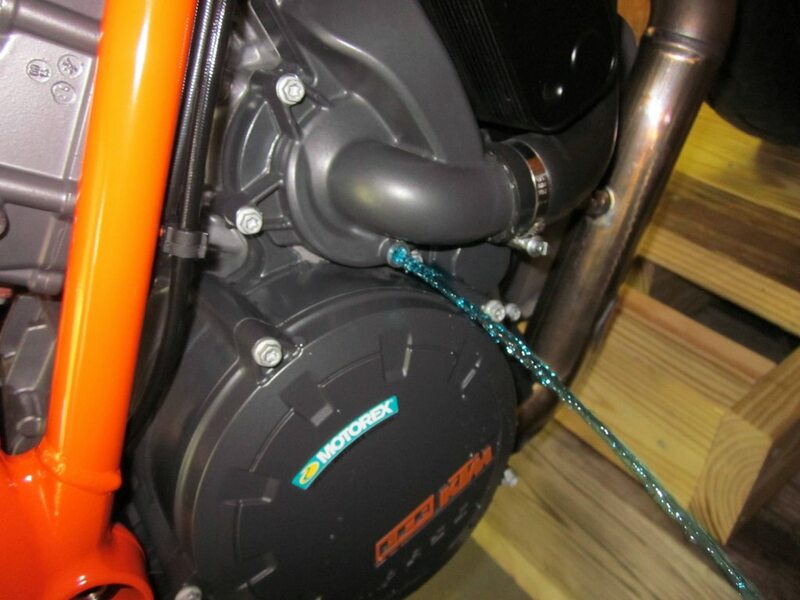 Place a suitable container under the engine, locate the water pump and remove the drain screw. helps just be careful it's heavy. Now flush with distilled water until it comes out clear. Put the drain screw back in and completely fill the radiator with distilled water, put the radiator cap on and tighten it. When it's cooled off just repeat Step 2 untel only clear water drains out then put the drain screw back in. 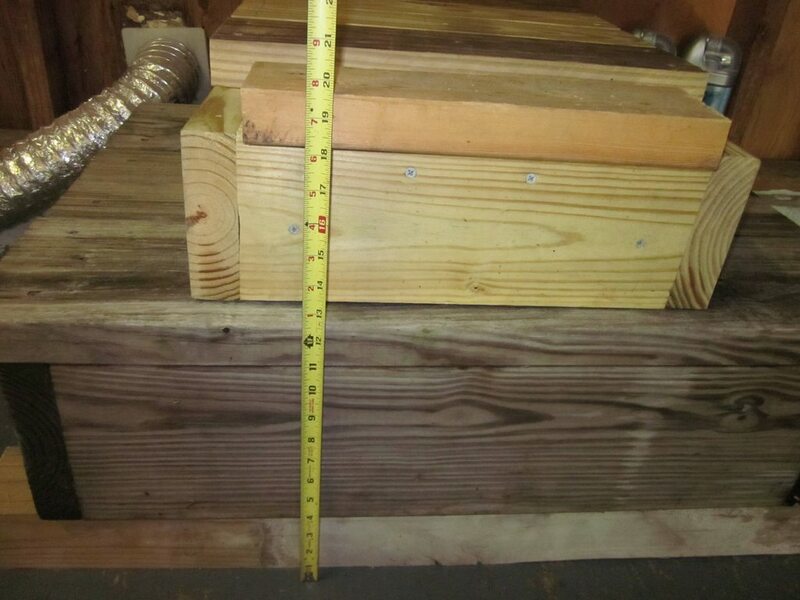 container again then re mount the compensating tank. properly bleed the system and get all the air out! Step 4: Adding coolant/bleeding the cooling system. 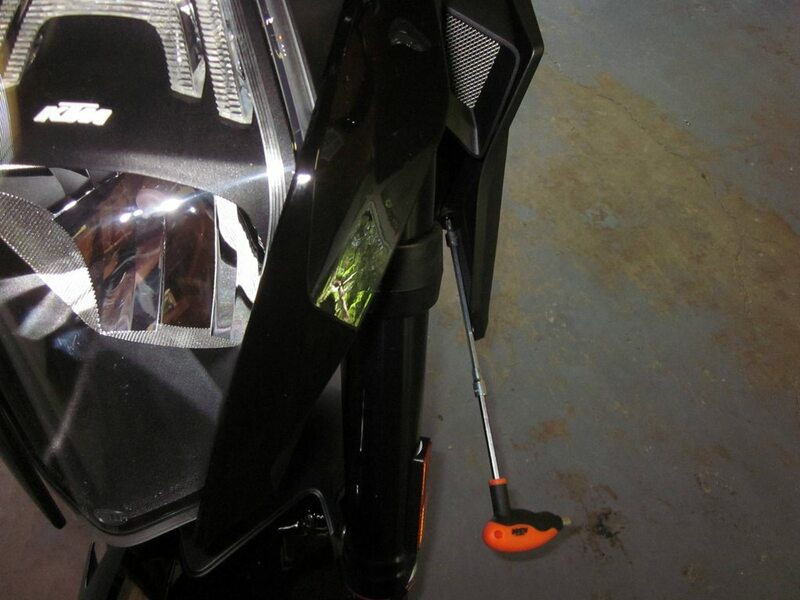 right sides of the bike then the water pump drain screw. and without air bubbles then put the drain screw back in and tighten it. put the bleed screws back in and tighten them. Now completely fill the radiator with coolant but don't put on the cap yet. then put the cap on. Re mount the compensating tank. to the radiator and compensating tank if needed. I hope this how to is helpful to someone! 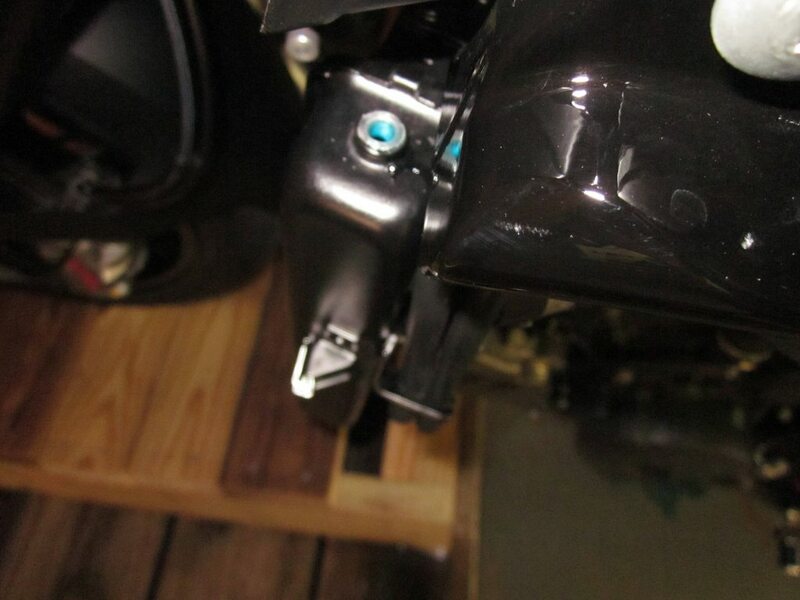 2006 Yamaha YZF R6 Raven Black RIP got crunched wit me on it! By huge mot err home thangy! Hurt ed! Nice write up Tink, will be helpful come time for a change. Nice write up and VERY nice pics. One thing I would ad is in my "How to: Cooling system flush" for the 990; to fill with distilled water/ white distilled vinegar to clean the system prior to rinsing and then refilling with your favorite coolant. In my case Engine Ice. 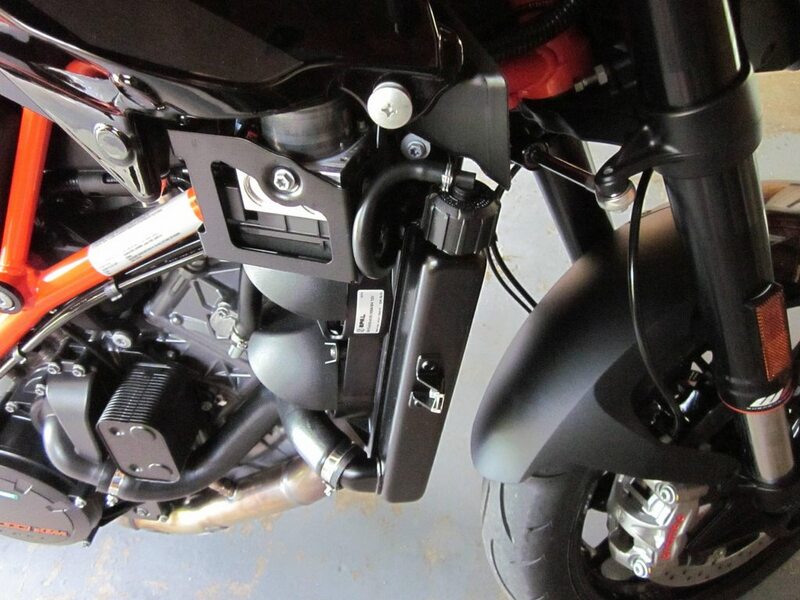 After the old coolant drained, I reinstalled the bolt on top of the radiator and the drain bolt and filled the system (Very very slowly), with a 50/50 mix of white distilled vinegar and distilled water, as per Motorcycle Consumer News May of 2013 (Coolant System Flush) to clean the system. I let it get up to temperature (I actually confirmed that the fan kicks in earlier) and shut if off. 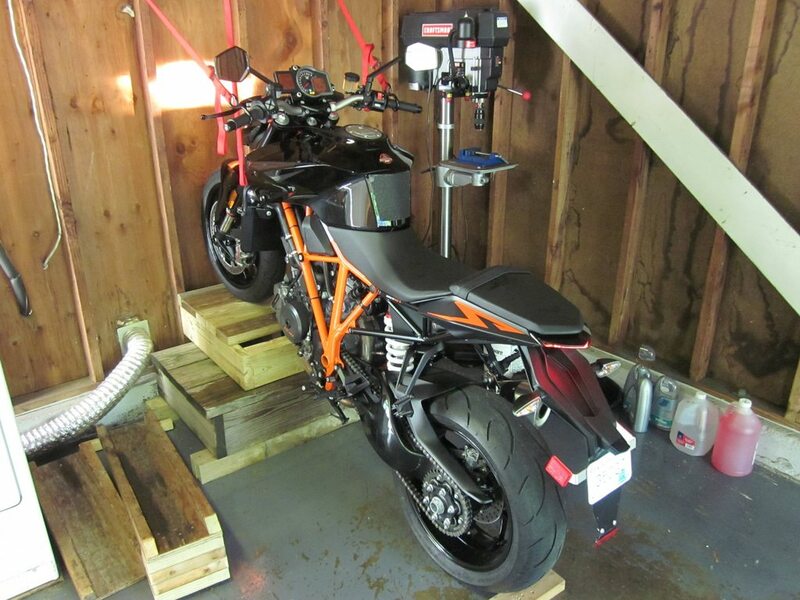 I tried to let the bike cool down (All of this is happening as the bike is hanging from the rafters), and refilled with distilled water to flush any remnants from the vinegar/distilled water. So bike up to temperature, fan kicks on again and shut off. Flush the water out, button everything up and filled with Engine Ice ($20/jug) and you only need one. 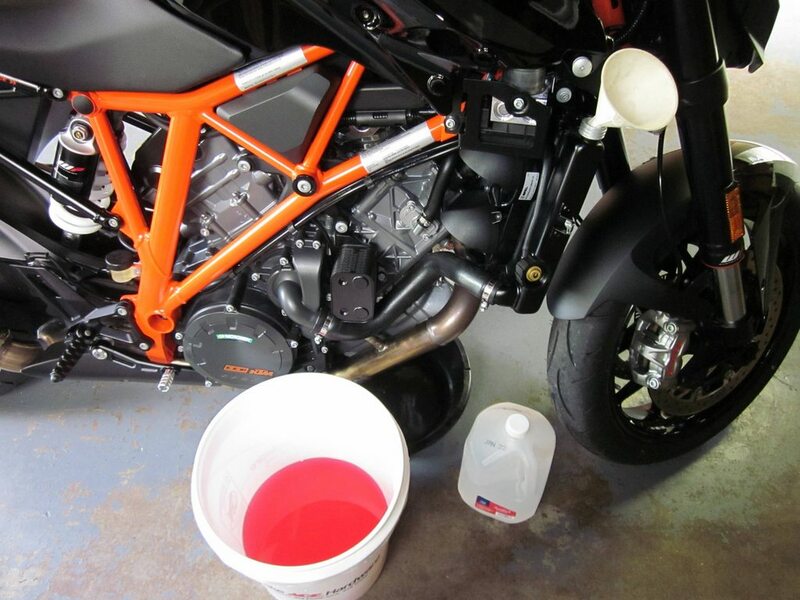 I had the bike running while I filled with coolant to make sure air bubbles are not being trapped. 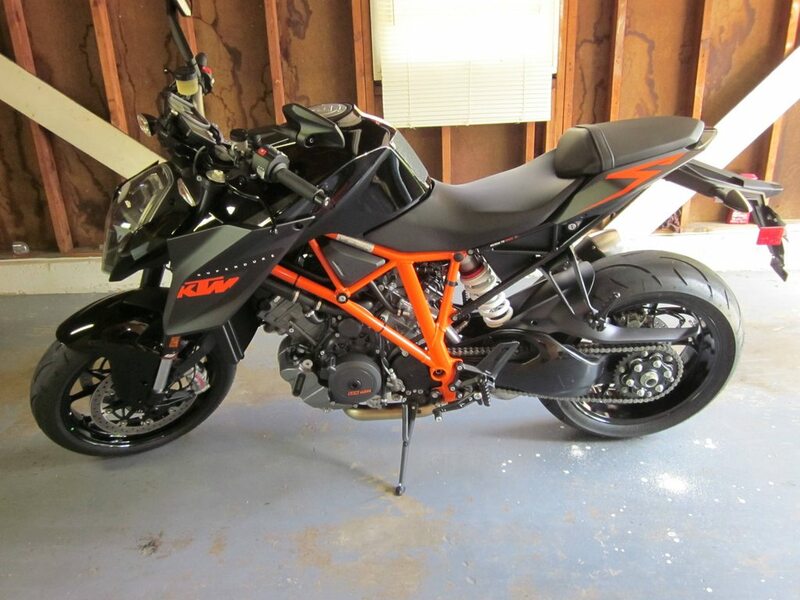 I will check coolant level later today, and go for a 200 mile ride tomorrow to make sure all is good. others to please add to it, thats what it's for. I'm just about to refill and bleed my system and I have a couple of questions for you on your experience of doing it. 1. is it ok to run the bike at that angle for that length of time? 2. 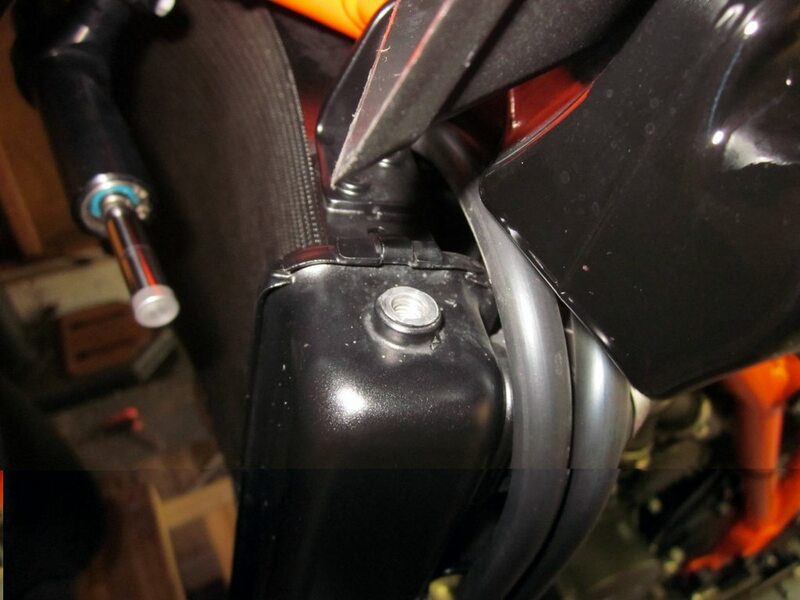 Once you fill the system and your running the bike, the thermostat opens and the level in the radiator drops. 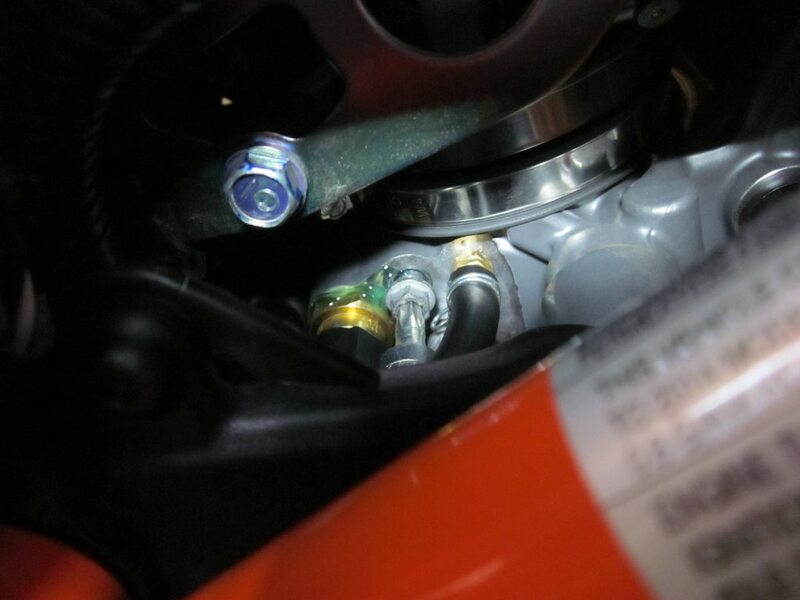 While its running, you top the radiator back up, just before you put the cap back on do you slacken the radiator bleed screw again to make sure there is no air trapped in there or just replace the cap? 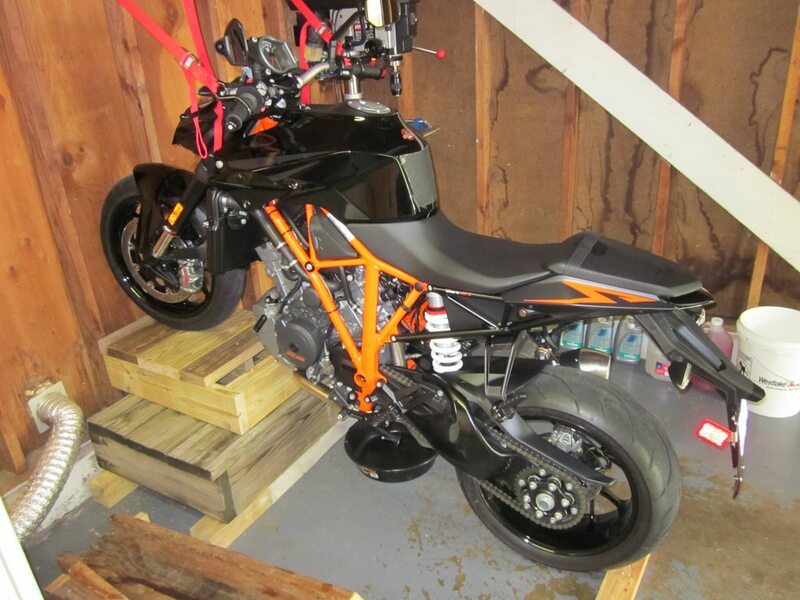 Nice write-up, but I have to wonder how many miles are on this bike that necessitated this - ? Regardless: 1. 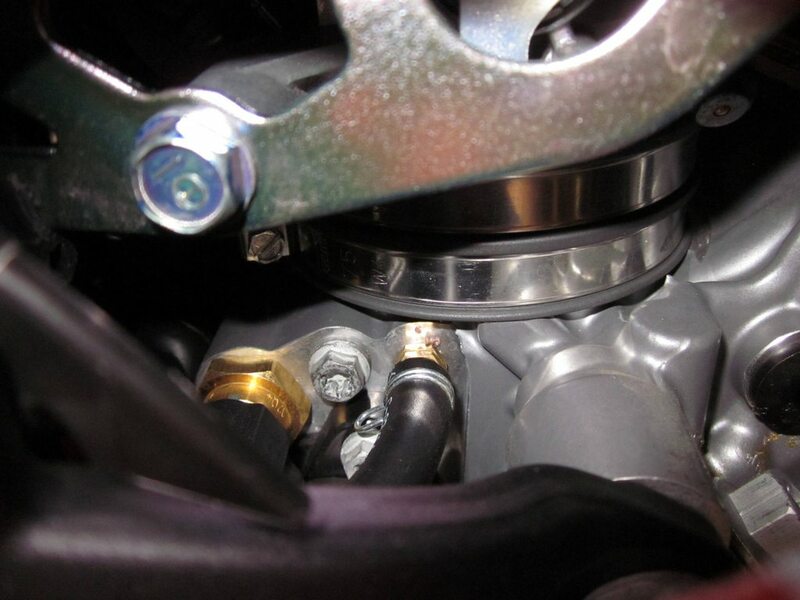 Yes, it's OK, dry sump oil system; 2. 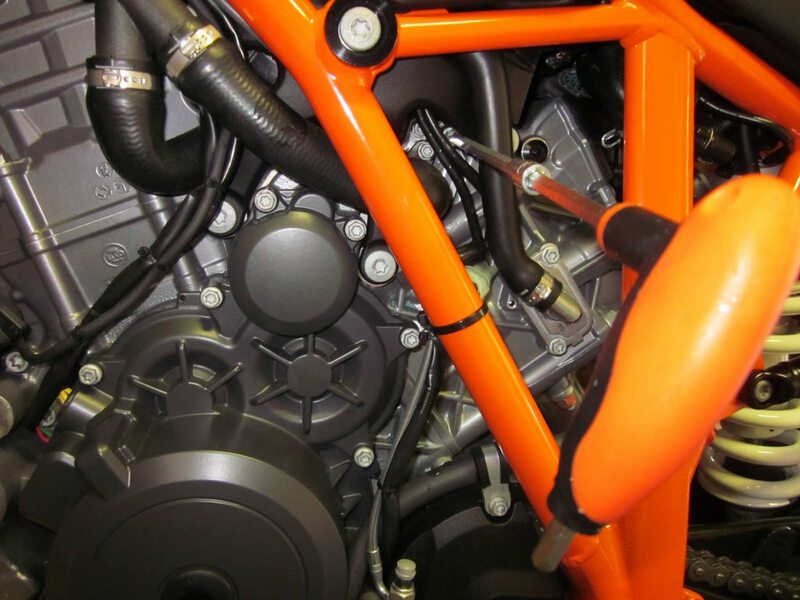 You want to bleed, but no matter what you do, there will always be some - albeit little - air in the cooling system. Now I remember what this website is all about. Nice write up and I am sure it will get good use in times to come. This is awesome! Thanks, T12T. 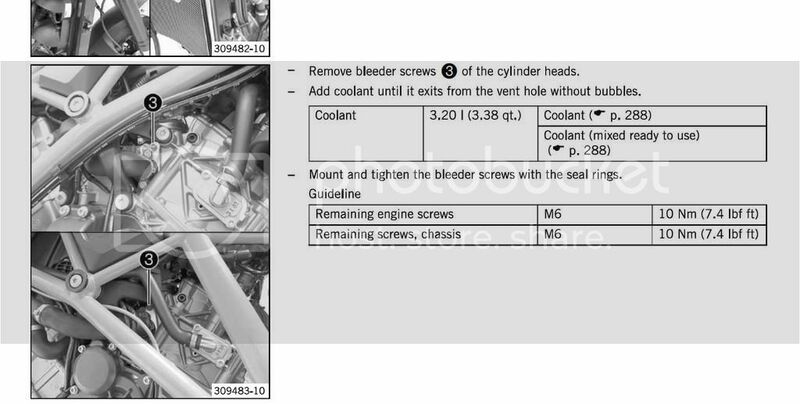 All good stuff but why on earth do you need to change the coolant?? 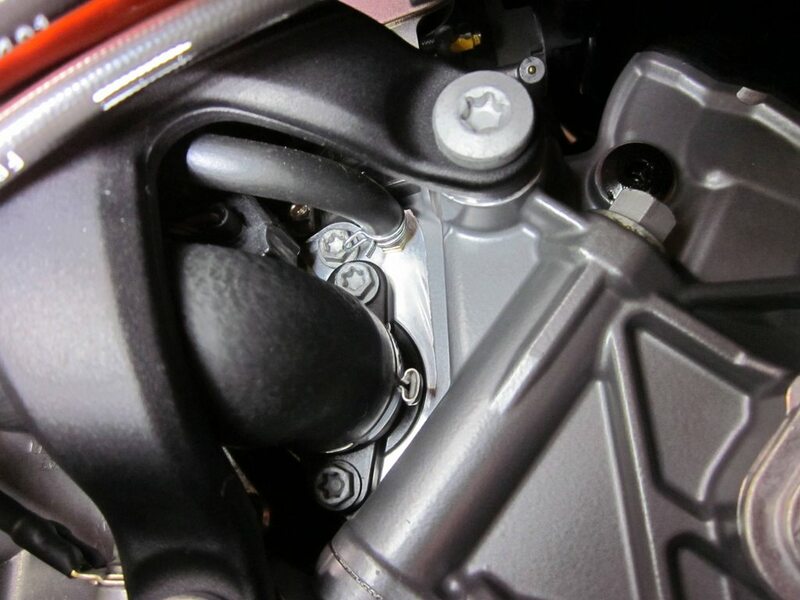 ma1290rky wrote: All good stuff but why on earth do you need to change the coolant?? I accidently put a hole in my radiator and had to remove it to have it repaired, so that's why I ended up reading this thread. 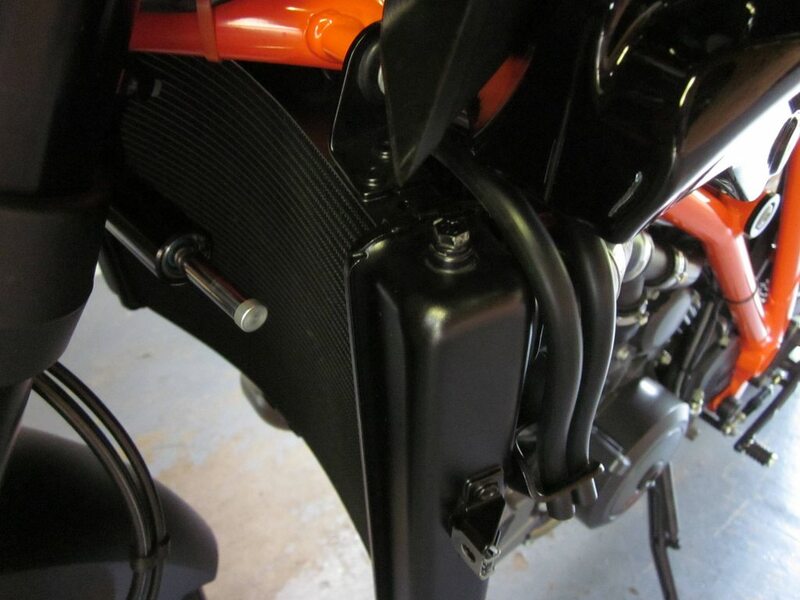 Is SuperDan making radiator covers for the 1290 ? May need to get rid of the anti freeze for track regulations. After having electrolysis destroying my 1290 radiator after 20 months, I would advise everyone to do a coolant flush every 12 months. 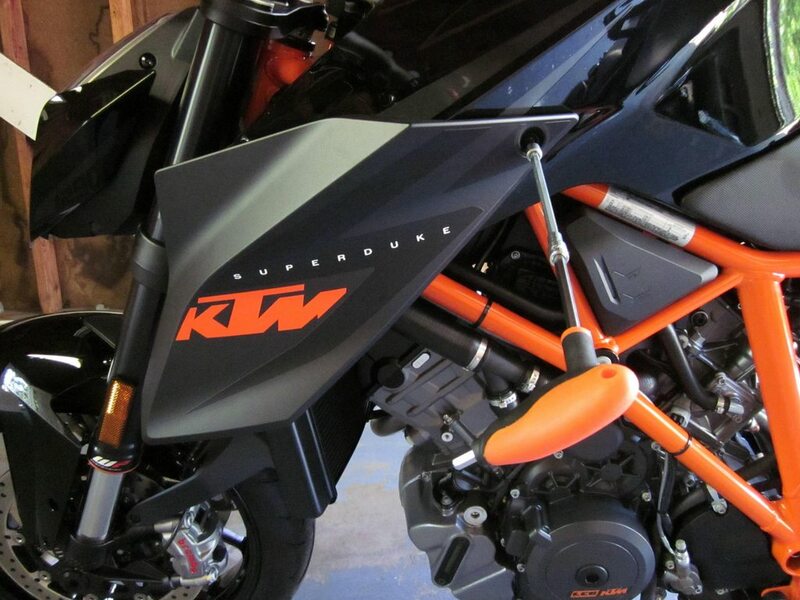 KTM came to the party & replace mine under warranty, prevention is better than the unknown sneaking up on you. while i'm topping the radiator up again. it from had no idea what the red coolant was. I like to know what fluids are in my bike so thats why I changed it. Makes perfect sense and you're right to know what's in your pride and joy. I find that the small header tank needs to be kept really low as on track the extra temperatures will have coolant spitting out of the overflow onto your left boot and rear tyre - not ideal. At the superduke track day I noticed several bikes were the same - so if you're going on track keep it low..
Each day I try to live for me. Great write up. Thank you. Great write up. Helped a lot with the pictures.